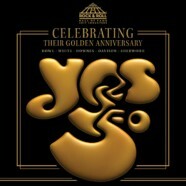 YES, one of the biggest bands in prog rock history and true pioneers of the genre, today (March 26) revealed the dates and details for this summer’s 50th Anniversary North American tour titled #YES50: Celebrating 50 Years of YES. Tickets for the 30-plus date outing, which kicks off June 5 and 6 with a two-night engagement at the Arcada Theatre in St. Charles, IL, will go on sale to the public beginning this Friday, March 30 or Saturday, March 31, with select shows going on sale in early April. A handful of additional dates will be announced soon. During this summer’s “Evening with YES” shows, YES–Steve Howe (guitar since 1970), Alan White (drums since 1972), Geoff Downes (keyboards; first joined in 1980), Jon Davison (vocals since 2011) and Billy Sherwood (guitar/keyboards in the 1990s and the late Chris Squire’s choice to take over bass/vocals in 2015)–will perform a special classic hits concert to commemorate the landmark occasion. The cross-country trek will take the 2017 Rock & Roll Hall of Fame inductees to Kansas City, Denver, Los Angeles (June 19 at the Ford Theater), San Jose, Detroit, Cincinnati, Pittsburgh, Boston, Staten Island, Philadelphia, Washington, DC and Orlando, among many other cities, before wrapping July 28 in Atlanta. See below for full list of tour dates and go to www.yesworld.com for ticketing information.